As we begin the 2014 postseason, the Penguins find themselves in somewhat unfamiliar territory. For the first time in several years, not many consider Pittsburgh one of the true favorites to hoist the Stanley Cup at season's end. Indeed, question marks about goaltending, depth and injuries combined with uninspired play down the stretch, producing no shortage of doubters. Whether the Pens struggled as a result of a plethora of injuries that finally caught up to them, fatigue or a lack of meaningful contests late in the campaign, the sputtering squad's recent play has produced lower than normal expectations for a fan base thirsting for another championship. One reason for optimism, however, comes as a result of the team returning to health at just the right time. With Evgeni Malkin and Joe Vitale back on the ice, the forward unit finds itself virtually as healthy as it's going to get. And, while that will certainly serve to make this Pittsburgh team more dangerous, it's the recent return of Kris Letang along the blue line that may provide the biggest impact. When executed properly, Dan Bylsma's system utilizes the speed, precision and skill of one of the league's most talented teams. It's designed to get the puck out of the Pittsburgh end quickly, with blue liners ideally finding the club's skilled forwards streaking out of the zone with speed. Love it or hate it, the system brings with it the potential to play to the strengths of the some of the game's most talented players. When both Paul Martin and Kris Letang found themselves out of the lineup, though, the squad suffered mightily. Without the gifted puck moving defensemen on the ice, the Pens' transition game struggled. The squad frequently found itself hemmed in its own end, helpless to break out in an effort to turn defense into offense. With Letang (and Martin) back in the fold, however, the Pens' transition game becomes much more lethal. The former-Norris finalist's skating ability makes his puck retrieval second to none, while his vision and puck moving skills allow him to hit speeding teammates in stride as they move up ice. What's more, if there's no real play available, he's more than capable of skating the puck out of danger. Is he occasionally guilty of turning the puck over? Absolutely. But he also makes life a lot easier for Sidney Crosby, Evgeni Malkin and the rest of the Pittsburgh forwards. And, if life becomes easier for them, it follows that life gets better for the Penguins. It's no secret that one of the Penguins' greatest weaknesses results from their lack of forward depth. While the club boasts two of the most explosive lines in hockey, it also employs a bottom-six that struggles to produce offense. As a result, it's crucial that defensemen chip in an effort to supplement offensive production. And, while Matt Niskanen admirably produced a career high in goals (10), assists (36) and points (46) while anchoring a depleted unit for much of the year, it's the dynamic Letang who provides the Pens' greatest offensive punch from the blue line. 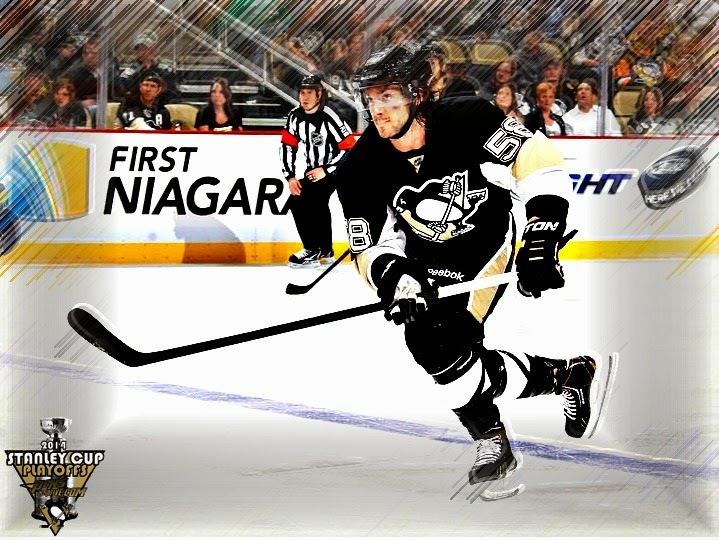 Whether it's his propensity for jump starting the transition game, his ability to join the rush or his acumen for lighting the lamp in crucial situations, Letang provides a vital offensive presence from the back end. Perhaps that's why, despite only playing in 37 games this year, he led all Pittsburgh defensemen with 11 tallies. It's why, after missing two and a half months and returning for the final three contests of the year, he recorded a goal and three assists. Sure, it's a small sample size but it serves to illustrate just how lethal Letang can be with the puck. If he can add even close to that kind of production in the POSTSEASON, it could help mask one of Pittsburgh's most glaring deficiencies. One of Letang's greatest qualities comes in the form of his ability to log so many minutes. His incredible work ethic and freakish stamina allow him to seemingly remain on the ice all night. Even after suffering the stroke that cost him 26 games, Letang returned to action without a hitch. When healthy, "Tanger" (24:14) is second only to Paul Martin (24:34) in average ice time amongst Pittsburgh skaters. He plays in all situation, provides a bit of a nasty streak and relies on his nearly unmatched skating ability to matchup against the NHL's elite. Not only does eating up all those minutes and playing against the best the NHL has to offer provide the Pens with a defenseman who serves to help control a game, it creates a trickle down effect that simultaneously benefits the rest of the defensive unit. Because, while the defense performed admirably for much of the season, it was clear that the group started to wear down as the campaign marched on. With Letang and Martin back to perform the heavy lifting, though, fellow blue liners will benefit from an opportunity to finally spread the minutes around, to escape the weight of replacing the club's top puck moving defensemen. As a result, the Penguins may find themselves with a sharper, more efficient group in front of Marc-Andre Fleury. And, if that proves to hold true, the Pens may find more postseason success than many anticipate. 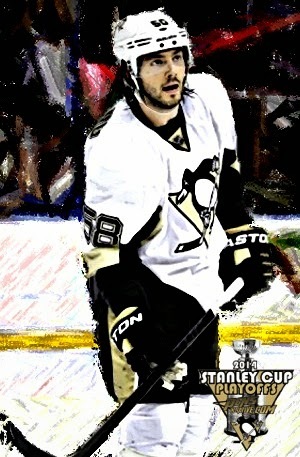 I hope Letang kicks it up a couple of notches from how he played in game 1. Bad decisions and costly turnovers will only hurt. The Pens relied a little too much on Fleury last night. Excellently put here. Tanger needs to be stable. Because he can have a mental lapse or two. Here's hopin' it straightens out in game 2.